It is starting to become very ridiculous how obsessed Nathaniel is to Spiderman. 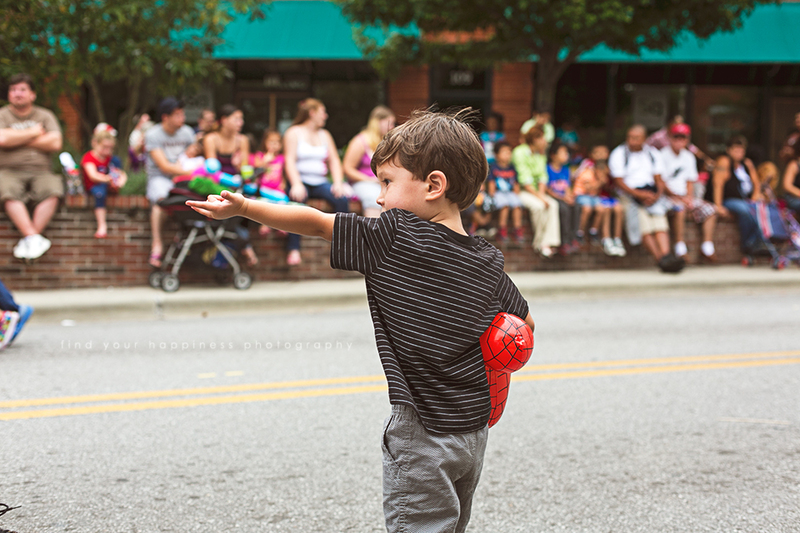 In the above photo, he was shooting spider web to the passerby while waiting for the Apple Festival parade in Hendersonville, NC (we had a mini-vacation with Hannah and her family this past Labor Day holiday weekend). And in case you didn't notice, yes, he's holding a Spiderman blow up toy. The deal was for him to eat all of his lunch and then we will buy him that. He inhaled his lunch in less than five minutes.